ZAPU president Dumiso Dabengwa is maintaining his onslaught on the new government led by Emmerson Mnangagwa saying the new political dispensation was no different from the old order under Robert Mugabe. The former Cabinet minister who was a guest at an event organised by pressure group Ibhetshu Likazulu to mark Gukurahundi on Unity Day here said there was nothing new about the new government as it was just the same old “gang” that led the post-independence atrocities. “We continue to suffer silently, we continue to live in fear and the same crocodiles that devoured our people are still in power, they recently changed faces and names, the system and the attitudes simply mutated yet remain the same,” Dabengwa told the gathering. “We have continued to suffer in silence simply because those who butchered our people, maimed our mothers, fathers, brothers and sisters, raped our sisters and mothers destroyed our property are in charge of State power and they continue to frustrate every effort that we make to express the pain and grief that we are harbouring within ourselves,” he said. The former chief of intelligence in the Zapu military wing said Gukurahundi was never put to an end by the signing of the Unity Accord. 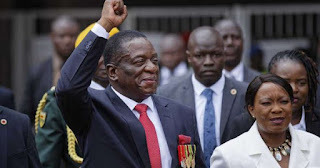 “Gukurahundi did not only leave permanent scars nor did it end by the signing of the Unity Accord, it simply mutated from being direct violence into structural and systematic violence underpinned by grossly centralised system of governance that is grotesquely corrupt and self-serving, characterised by gross marginalisation of the same communities that were affected by Gukurahundi,” he said. But above all, the former Home Affairs minister said he has never respected the Unity Accord, since it was meant to serve Mugabe’s interests. “The Accord was in actual sense not a fair arrangement but a zero sum that benefited Mugabe in person and Zanu more than the people of Zimbabwe. “It created the sad era our history that of a one party state whose agenda was to further the interests of Mugabe and Zanu at the expense of democracy and the people of Zimbabwe, contrary to what we had spent our lives in the bush fighting for,” he said. This also comes at a time Dabengwa set August 2018 as a date for the reburials of Gukurahundi victims. “...let’s agree that soon after the rain season around August to October we go and collect all the bones on the mass graves and give them a decent burial,” he said adding that they no longer needed any government approval.